This is an area that is not very well known, even among owners of swingblade mills. In the early learning period, you don’t need to know much about blade tensioning. 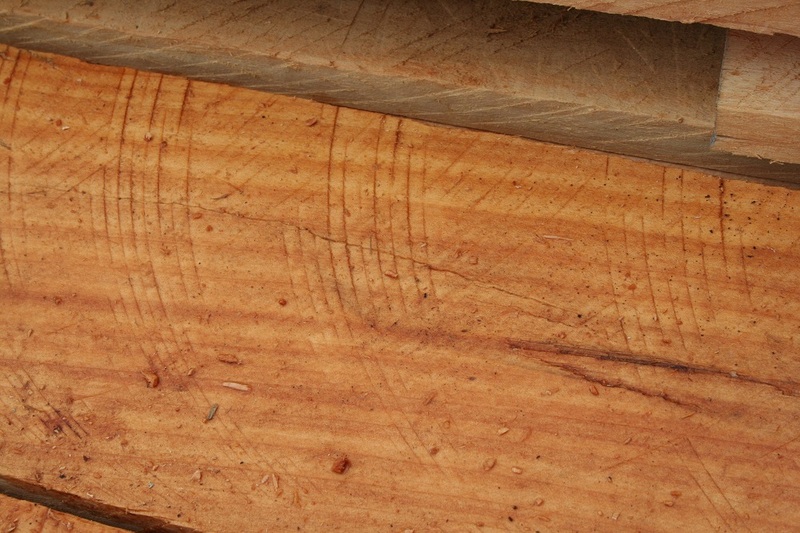 A good blade can easily last through 2 sets of teeth, or around 34,000 board feet or 80 cubic meters of sawn timber before tensioning is required. And often, a good sawdoctor will automatically check the tension each time he puts new teeth on for you. But once the blade gets on in life, or if you work your blade too hard and ‘smoke it up’, you may experience loss-of-tension problems. So it’s a good idea to know what to look out for. Good care of your blade will see it last you for 3-8 years or more. Tension is put into a blade so it holds its shape in both vertical and horizontal position; so it doesn’t ‘cup’ or wobble with speed. Think of a rolling pin rolling out a piece of dough from the center to the edge. Tensioning presses the blade around the middle area, forcing tension into the main body of the blade, so that it holds its shape. But excessive heat during sawing will release that tension, and make your blade floppy and vibrate in the cuts. Loss of tension is caused by plain old fatigue and hard work. Some owners will know more about tension than others, if they have blades that need more frequent servicing. If you are losing tension too frequently, you either have poor quality or incorrectly spec’d blades, or your adjustments are out causing stress on the blade, or you’re just a very rough operator! Premature loss of tension is caused by forcing your blade through the cut; when it’s out of adjustment, when it’s blunt/dull, or if it is incorrectly spec’d. 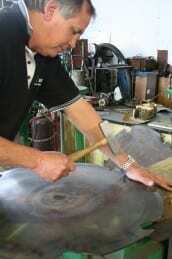 The blade then heats up, causing the metal to soften and lose its tension. The blade will then vibrate about, be noisy, and cut rough, and you will see a ‘washboard effect’ on the log as the blade dips and rises. This is visible by 3-4 saw marks, then none for several inches, then another 3-4 marks. Your blade will more frequently jam in the cut, smoke up, and be left with purple or blue burn spots on the surface. 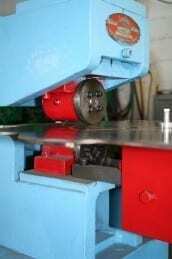 There are many saw blade manufacturers eager to make blades for you, and often at very competitive prices. But you really should stick with the manufacturer’s blades. They have spent many years establishing the specifications. There is a fine line between plate thickness, number of tips, kerf width, rpm, and collar size, to come up with a solid blade in terms of performance. And by performance, I mean the whole package : production speed, timber recovery, finish, and how long it will hold tension. Bottom line, if you are struggling to cut, there’s something not right with the blade specs or adjustments. You will need to stop and correct them before you heat the blade and lose tension. A good sawdoctor will retension your blade during a retip service, for very little extra, if any. You will need to tell your sawdoctor what rpm your blade is running at, and the tooth specifications (spec sheet usually supplied by the manufacturer). Modern sawdoctors will roll-tension your blade, where the blade is rotated while it’s being pressed by two bearings. You will see rings on your blade if it has been roll tensioned. This method distributes tension more effectively, but the old fashioned hammer-tension is still sufficient if carried out by a skilled sawdoctor. A tension service on its own can cost anywhere from $10 to $40. Keep your blade sharp! This is priority number 1. It takes only 5 minutes to sharpen, and it saves your blade as well as your legs. A dull blade works twice as hard, tears at the timber rather than slices it, and bogs down easily. Plus you can lose 20-40% production and end up sweating a river from all the extra pushing! Make sure your blade adjustments are spot-on. If your blade is diving or taxi-ing for takeoff, it is fighting against the timber, stressing the blade and heating it up. You try doing the 100m dash running sideways…or better yet, with your nose to the ground! So learn those adjustments early on. The next topic in this series is dedicated to the art of Blade Adjustments. Ensure you use water for very hard or sappy timbers. Sap buildup can cause drag and side friction, and heat the blade prematurely. Scrape off any sap buildup. You can even put a little dishwashing liquid in your water supply; this will give more lubrication but also prevent algae buildup in your water line. The rounded-out area in front of the tooth, is called the gullet. Once the tooth slices off a piece of sawdust, it moves down into the gullet, which acts as a sort of holding scoop, and throws the sawdust out once it exits the wood. The steel edges of the gullet will get rounded after time (around 500-1000 hours), and make it inefficient at removing sawdust. Your sawdoctor should know how to service the gullets when they need it, by grinding back the steel to 90 degree cornered edges again. Even longer term, is the very important need to inspect your blade for the beginnings of stress fractures. In the second year, and every year thereafter, inspect the mounting holes and the center bore for any tiny fractures lines. These can be caused by blades that are too thin, sloppy mounting screw holes, or overworking your blade while it’s out of tension or out of adjustment. 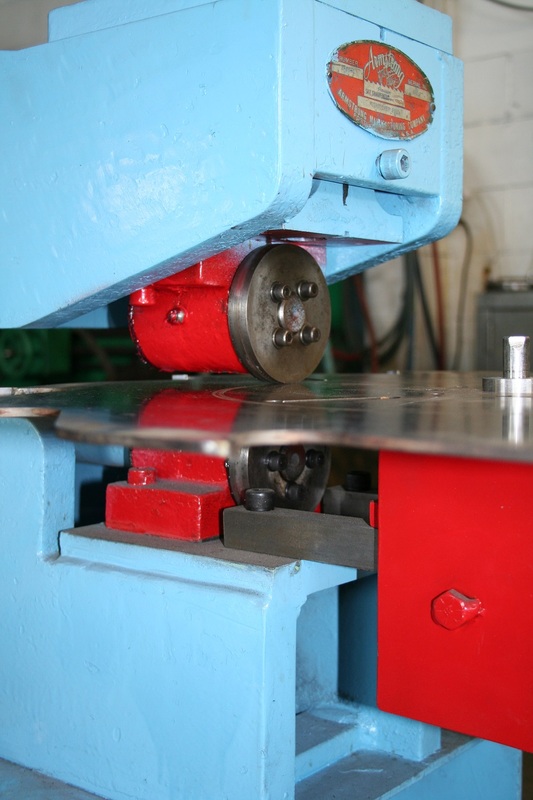 Any of these issues will cause the blade to flex more than normal around the mounting holes. I’d show a picture of one if I had one, but the last time I saw a blade with stress fractures was over 5 years ago. If you spot any at all, it’s time to thank your blade for a good life and retire it permanently! DO NOT CONTINUE TO USE A BLADE WITH BODY FRACTURES. Hello Dear Peterson Sawmill Family. We are a company from west africa from Liberia. We need one blade sharpening machine. We saw it on your website. And we need one 10 pieces of big blades for our circular sawmill. Hello there, we are a portable sawmill machine manufacturer so are unable to assist you with your request for a blade sharpener and blades. However, our Agent in Africa (South Africa), Harris Sawing Equipment cc should be able to help. Please contact them on: Phone: +27 (0)11 496 1334, Fax: +27 (0)11 835 2578, enquiries@harrissawing.com, http://www.harrissawing.com.